My last semester of college I was able to select an internship to complete my course work. I decided I needed to get to California and fast...well, that turned out to be an amazing decision. Not only did I meet the man that I would marry the first week out there...I also, stumbled upon my “Dirt Sister.” Now, little do you realize that each and every one of us has a dirt sister or two. Mine happened to be this magical girl who is from my same dirt. My dirt is Alabama...Birmingham to be exact. Her dirt is outside of Huntsville in a town called Decatur. She actually knows about “dirt.” Her family has a farm in Alabama and they have been told that they have some of the finest dirt that the laboratories have ever tested. 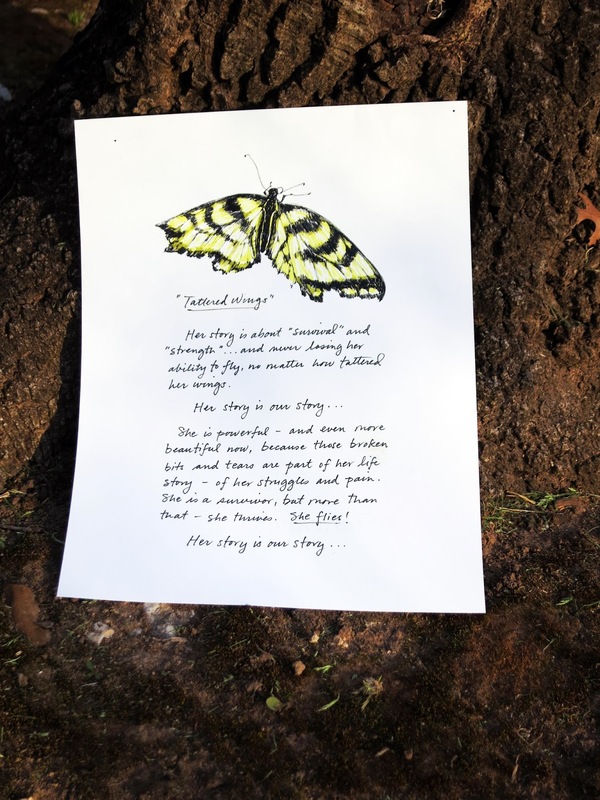 The farm, dirt and my sister all go together to make this a story nestled deep in my heart. So the Alabama Dirt Sisters found each other in Palo Alto, California in 1986. Stanford Mall is a stunning place to spend some time retailing....I had just gotten a studio apartment and wanted to buy something to hang on the walls. I stumbled into a little framing store and as I wrote my check the lady behind the counter asked for my driver’s license. The Alabama license is all it took and the two Dirt Sisters were connected. Lisa and I landed in each other’s lap and began to weave our stories of Alabama girls on the west coast. Lisa is an amazing artist. She floats on a different level of creativity and her tender heart is so gentle and kind. We would gather often and talk, eat pickles and cheese, sip wine and do what Alabama girls do best…talk a little more. Lisa can talk about anything and everything and is so interesting because she gathers knowledge and experiences from all realms of life. My life changed as I left California for the good ‘ole heat and humidity of Texas. Lisa stayed in California. We had a few visits over the years but, our lives just filled up and got busy. Just as I had a younger brother that I loved with all of my heart and soul, Lisa had an older sister that was her one in a million heart connection. Lisa and Annie were such a pair. Time with those two would always leave you chuckling about some crazy Tune family habit or adventure. 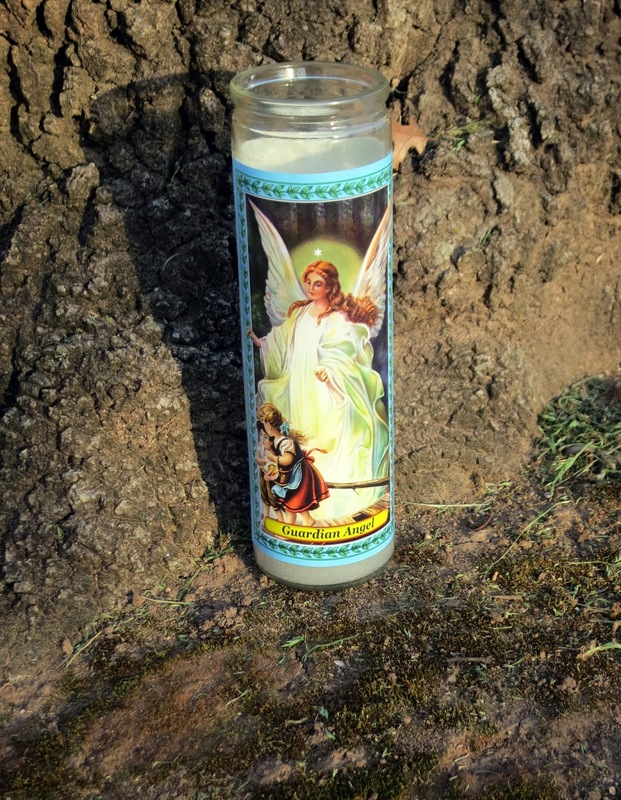 About the time my brother had been gone for a few months and I was crawling through the days, I received news that Annie had made a turn for the worse. For the past few years Annie and Lisa had been on a healing mission to cure Annie of that demon Cancer as it tried to invade her. 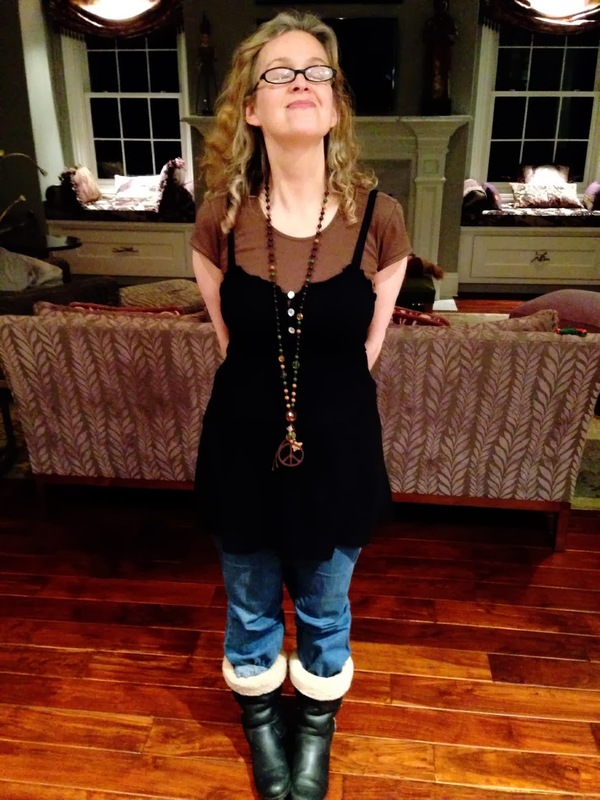 The Cancer was winning and sweet Lisa was losing the fight. She tenderly cared for her sister as she began to slip away. 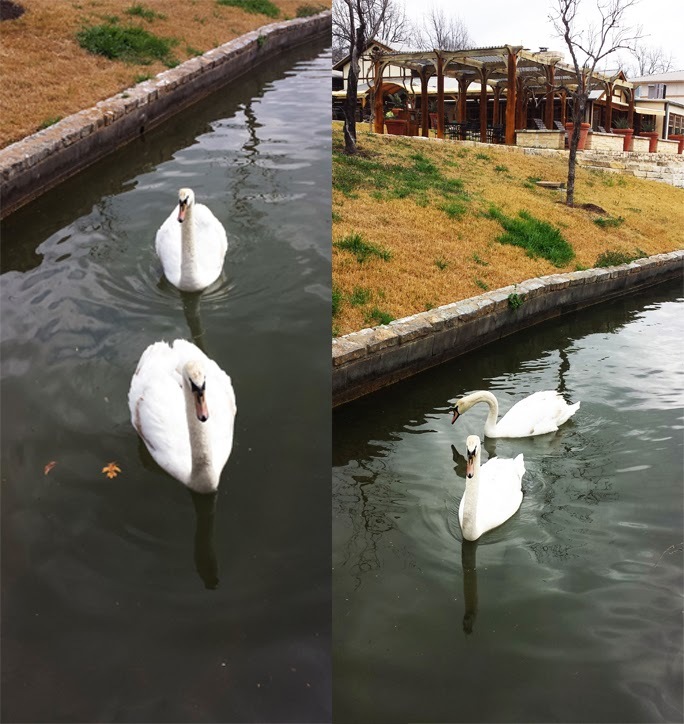 One day at work, I was at the lake and I saw 3 gorgeous swans. I called Lisa and Annie to say the swans are like the three of us...they are gliding on the water and look so gorgeous. This was the last day for our dear Annie. The swans will always be the symbol of my friend and her sister. Every time the swans return I take a picture and send it to Lisa. They are messengers from the “other side.” Keith and Annie are sending us these beautiful swans to remind us to keep finding beauty. 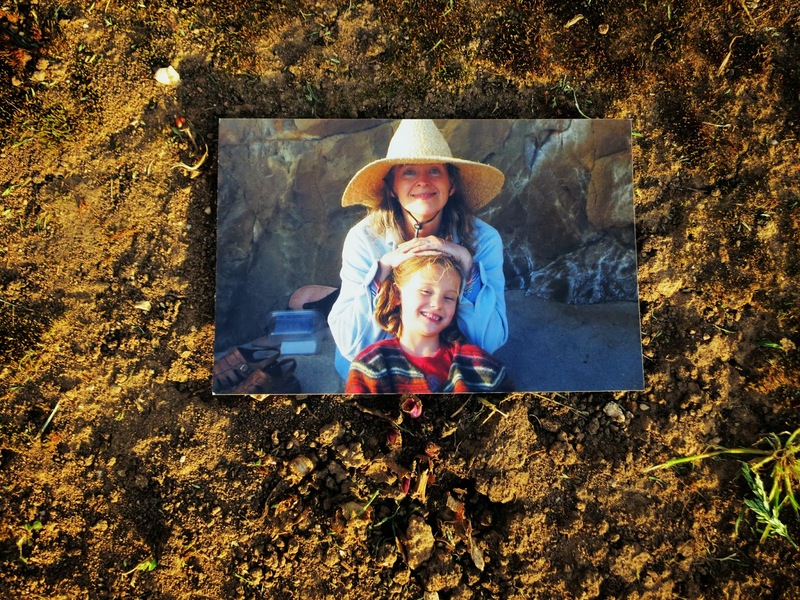 The beauty of having Lisa, or Dirt, as I call her, journey down this path of grief with me has been the most therapeutic gift I could have ever imagined. There were days where we would howl and cry on the phone, days that we just cussed and screamed, days where we both closed our eyes, lit a candle and said prayers to each other. Nothing in the world could replace my Dirt!!! 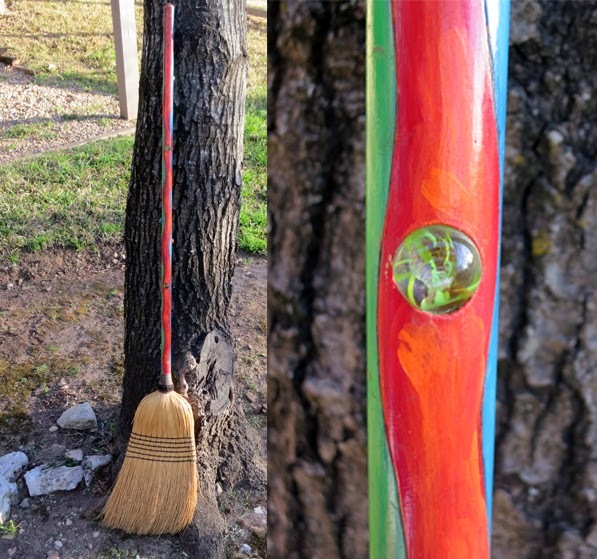 She swept me away one year by making me this gorgeous broom she painted the handle and bore holes in the wood where she placed gorgeous marbles. I have loved that broom since she gave it to me. We still use it. 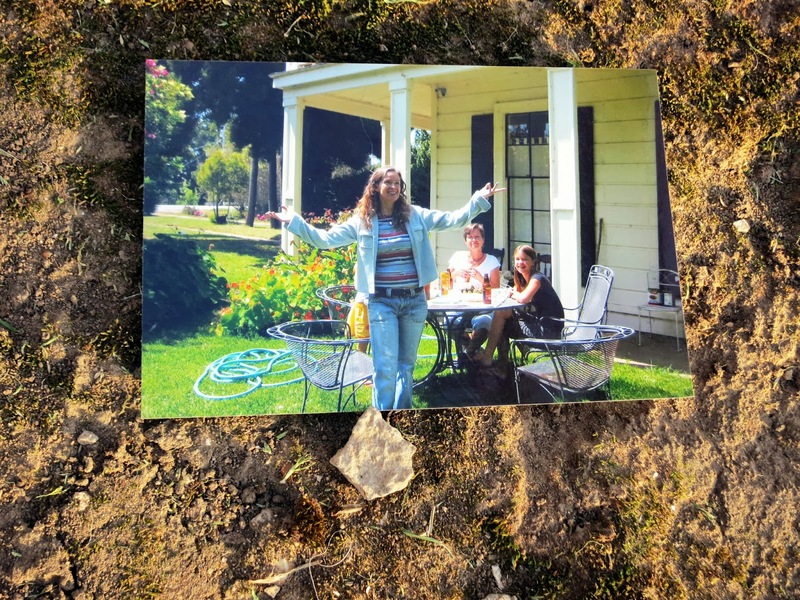 My Dirt Sister has swept me away with her art for years...but, she has now swept me away with being the most comforting, honest, refreshing friend to dig into our “dirt” and pain -hopefully, we will both get to the other side of this and be back to our Dirt Sister adventures of pickles, wine, art and laughter. 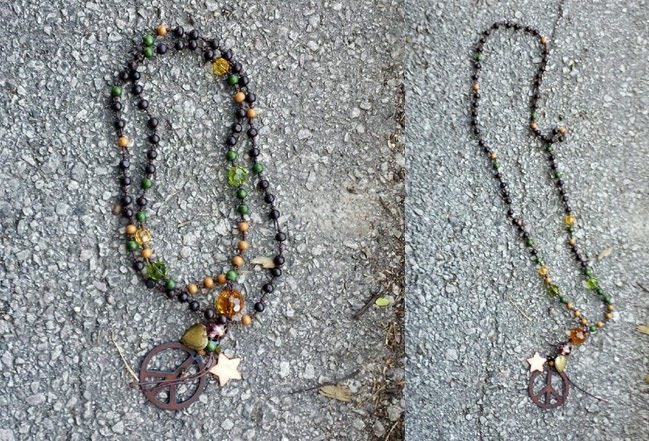 Dirt Sister modeling her original Healing Knots Treasure Necklace "Peace, Hope and Love"